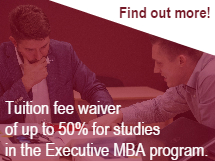 Our students who work in banking, investments or the corporate finance sector often choose the MBA Finance program. They know that the Finance specialization leads to a deep understanding of the intricacies of financial markets, the various types of investments, and gives them the rigorous analytical tools needed to make intelligent financing and investment decisions. The program also means that they are able to understand and exploit current trends in financial markets, whether in Latvia or globally. Finally they are drawn by the Finance specialization having the option of preparing for and taking the CFA exams for an additional qualification. The program consists of 15 courses - 9 core and 6 electives, and master thesis. NB! 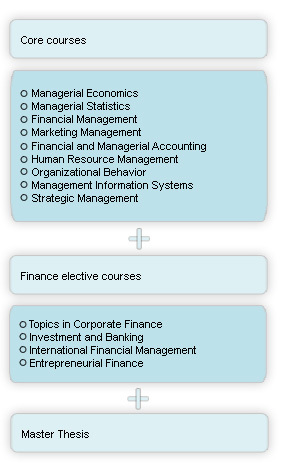 students are required to take all 3 available Finance electives and to combine it with 3 other by choice in order to complete this specialization.